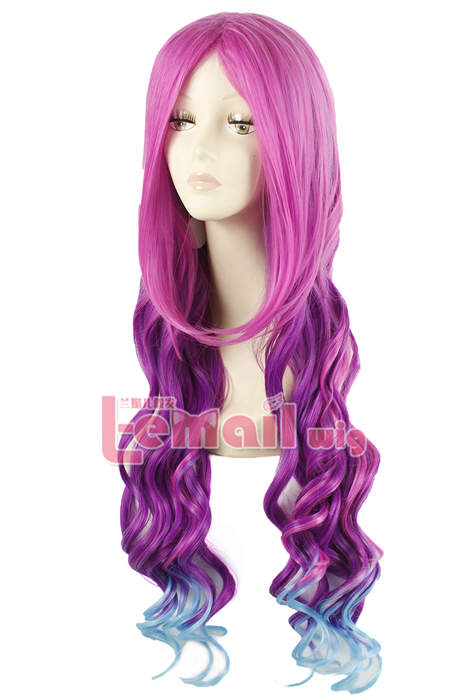 Ombre colors in one set of wig are hot and really popular to our customers. 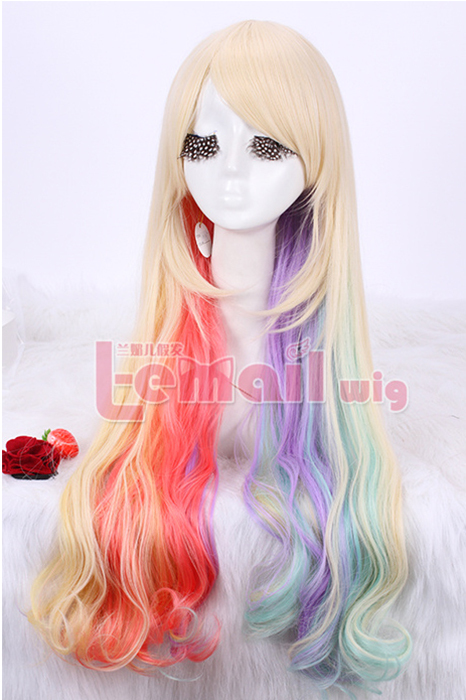 Our most popular products are mainly rainbow ombre styles. 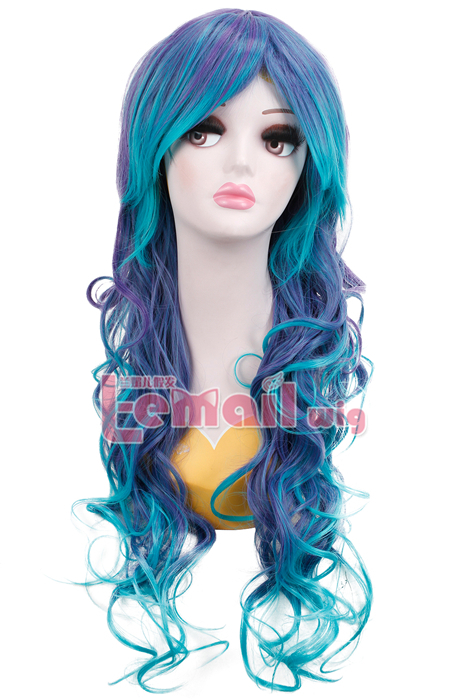 To give our customers more hot hair colors options, we are working on studying and producing new colors and styles according to latest hair colors fashion show and anime role cosplay wigs. Recently we have posted new colors photos on Facebook and Instagram and win thousands likes from our girls. Let’s take a look at the lists of new ombre styles. The style is with 40% pink color and 40% medium purple color and 20% blue color. Style into clean big waves and natural ombre hair look is just in your front. When it is posted on Instagram channel and Pinterest account, it catches the attentions of thousands girls over the night. Get it here. The small waves begin at the middle-length, and then flow naturally to the bottom. 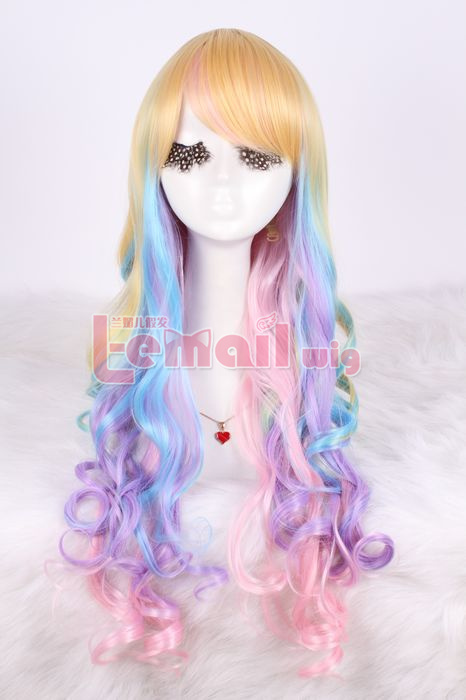 This wig has been designed with very soft colors, the color combo looks warm, suitable for every season, 70cm long is the perfect length to every girl. The style is mixed into blue and purple. The waves are very casual flowing over the back. It is also more often suitable to fashion girls. It is liked by more than one thousand girls within a short period of time of being posted. Would you like to have a try? 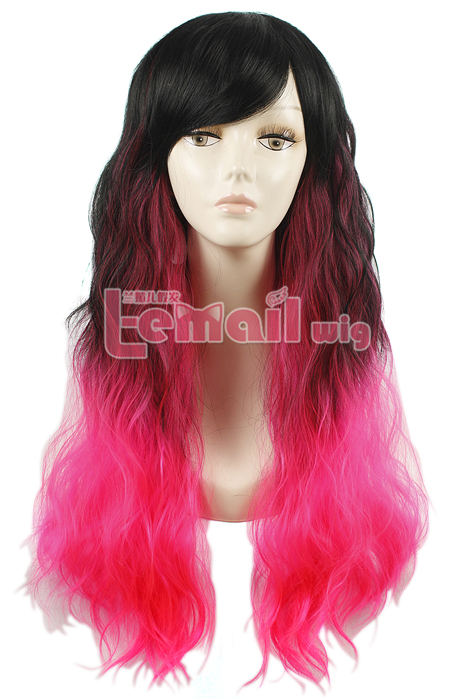 Send your hair photos and desired styles to wig-supplier.com for customization. The style ombre color goes from chocolate brown to rainbow. The waves are styled into lines, separated from each other. It is different from commonly-seen wavy looks, however still elegant and chic. Want to try the one for your coming season looks? L-email, as professional wig brand, is able to help you make it. 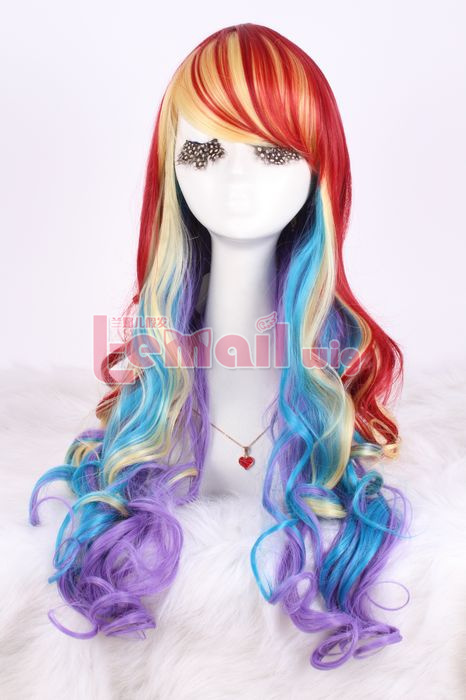 This entry was posted in Buy Cosplay Wigs, Fashion Wigs and tagged cosplay wig store, fashion wigs, ombre rock wigs, rainbow rock wigs.